Squared CS is an IT services company, and therefore we provide many services to make your computer network run efficiently. There are some big components that go into an efficient workspace. Many of these are services, such as the application of secure settings and policies, but some are hardware and software. There's only so much that can be done for an old computer or server before it becomes wise to invest your money on a new one. Applying secure settings to a network is best done along side of a good antivirus and endpoint security program. When it comes to business-class computers, there are several companies to choose from. There's only one major computer manufacturer that's currently excited about what it's doing and knows what it wants to do. That's Lenovo. Whether it's a desktop, laptop, or server, Squared CS can match you with an ideal solution from Lenovo. When it comes to securing your computers and servers, Kaspersky Lab continues to prove year after year that it is your best option. Don't be fooled into thinking that a free antivirus (intended for residential use only) will cover your business computers. There is a lot more needed these days to be secure, and Kaspersky Lab covers all the bases. Everyone knows they should do it, but many people fail to backup their important data on a regular basis. 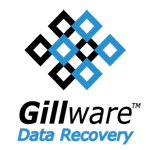 Even if you backup your files, do you have a disaster recovery plan? There are many options available, and Squared CS can fit a backup and/or disaster recovery plan to fit your needs. Squared CS can help your business with all of its software and hardware needs.